Tunnel roads tiles maybe walls. Himmelveil Canals cover the aquifers so I will leave this as well. Yes it will be in Terrainlinx format. I am almost done with my first subway bash tile so I will try to post that today. Any ideas or suggestions are welcome please let me know. Welcome back! I am sure we are all looking forward to seeing what you come up with. Here are some test photos with the old Subway Train. I need some image to help transition the old train gravel to the sewer tile. I added some shadows to the transition points. Do yall think I should keep using the sewers as the base or would a different set be of better use. This looks great with the sewer, at least for an underground railway system. You could try make some gravel darkers to create a grid on the rail part of you tiles, but apart from taht, that's cool that way. Be sure also to add 1" grid if you intend to submit this as a bash ! Glad to see this being worked on! I'd been wanting to try tackling this, but don't have the skills. I am looking for some textures that look like utility cables and lines to add to the walls. I havn't seen any textures i can rip from the titan sets for this. If anyone know of some in the WWG library that I am overlooking Please let me know. Sector Sigma walls have some basic wires and cables, some valves, electrical boxes and emergency lights. Oh, and rivers of acid. Good idea for Sector Sigma. 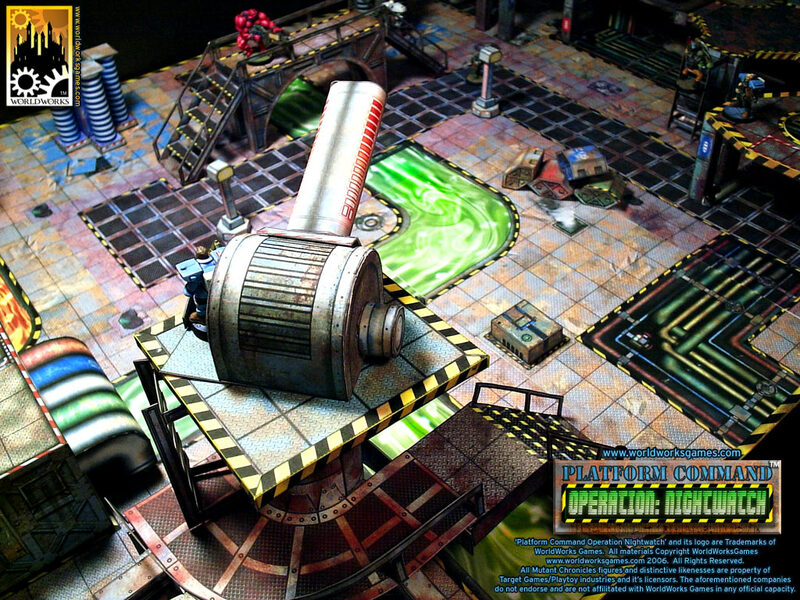 While older, Platform Command, may have even more that will suit the Mayhem Subway, and there are cables and lines in most of WWG's sci-fi terrain sets. Ok, here is a sample of platform walls. DOH I had a brain fart. I need to use the double high walls. I will work on that next. Any further progress on these tiles? I'd really like them for my Mayhem build.